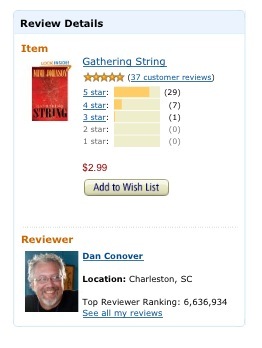 The review is the 26th five-star review for Gathering String, out of 33 total reviews. The author weaves in the uncertainty and turmoil of today’s business of journalism to add incredible authenticity to a ripped-from-the-headlines story of tainted power – it is about politics, after all. 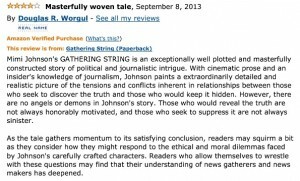 Grab a copy of “Gathering String,” kick back, and prepare to love and hate the genuine characters of Mimi Johnson’s first (but I hope not last) captivating novel. The book is available for Kindle ($2.99) and in paperback ($13.14). Classic anti-hero, surprise villain, and a we know whodunit but how are they going to prove it plot. Lots of fun. @mimijohnson Tess just went to Tofino. I’m hooked. 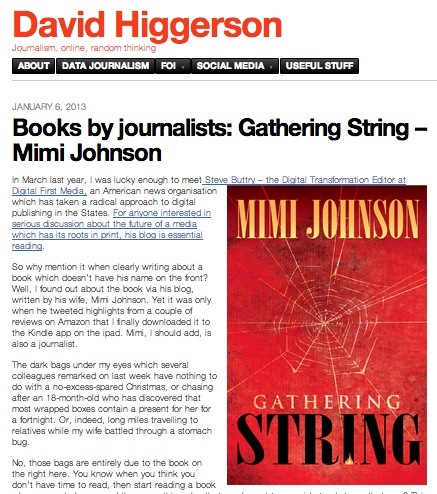 @mimijohnson When the governor fired his press aide, the whole book shifted gears. The hook is set deeper. I live in SW Iowa so locations were real to me. very good reading, just hope there in a followup book or two. 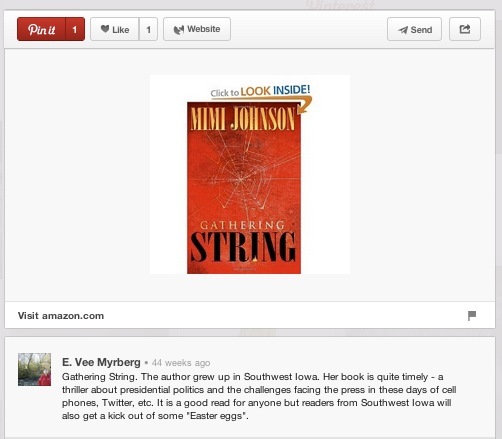 Yes, Mimi Johnson is working on a sequel. No projected publication date yet. 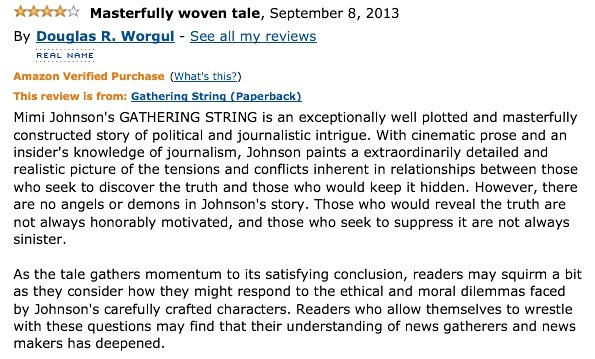 My biggest challenge in writing ‘Gathering String’: Where to end it? Jack Westphal, running through D.C.’s Reagan National Thursday afternoon? Yes, it was the hunky Iowan, and just about every head turned to watch his mad dash to the gate.